Plan For Reading The Bible: First time ever: Share Bible verses as images — from inside the Bible App! First time ever: Share Bible verses as images — from inside the Bible App! 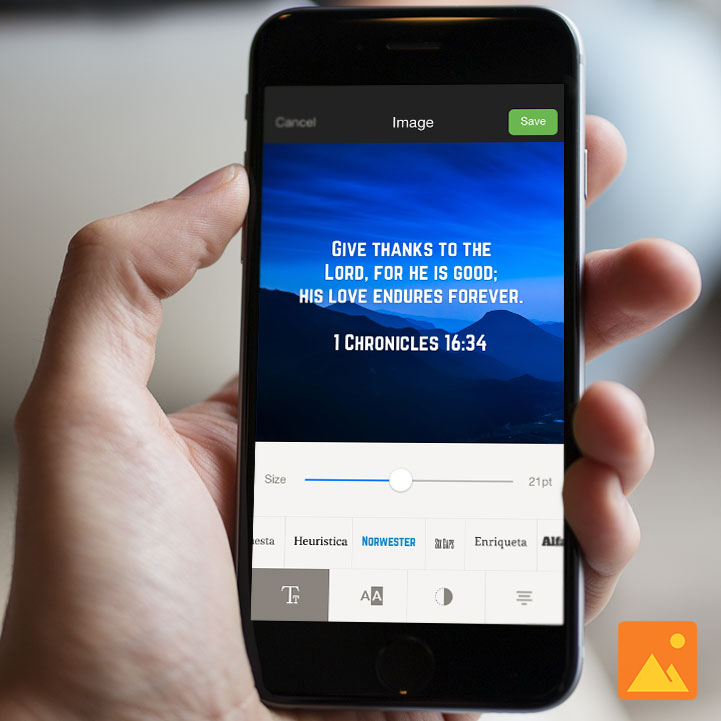 Verse Images are the newest Bible App feature. Tap the passage. (Apple devices: tap the Share icon next.) Tap the Image icon and choose a background. Select a font and customize it. When you tap Save, your Verse Image appears in your Home feed. From there, you can share it to social media, as SMS messages, or in email. It's easy!